One of Saints Row's finest is in Volition's latest title. Deep Silver and Volition announced two new characters today for Agents of Mayhem, the Saints Row developer's upcoming ode to 80's culture and cartoons. The G.I. Joe-like Agents can call on the services of Johnny Gat, one of Saints Row's classic her—— vil—— protagonists. Johnny calls on his twin pistols, a knife, a shotgun, and a pair of sweet sunglasses. Gat's appearance in Agents of Mayhem springs from the ending of Saints Row: Gat Out of Hell, where Gat had God recreate the Earth, bringing the planet and all the dead Saints back to life. Formerly a police officer in the Seoul police department, Gat is right at home in the city where Agents takes place. Actor Daniel Dae Kim returns to voice the character. Unfortunately, Gat is only available to folks who pre-order Agents of Mayhem at GameStop. The Gat DLC comes with unique skins, an unlock mission, and a personal mission. 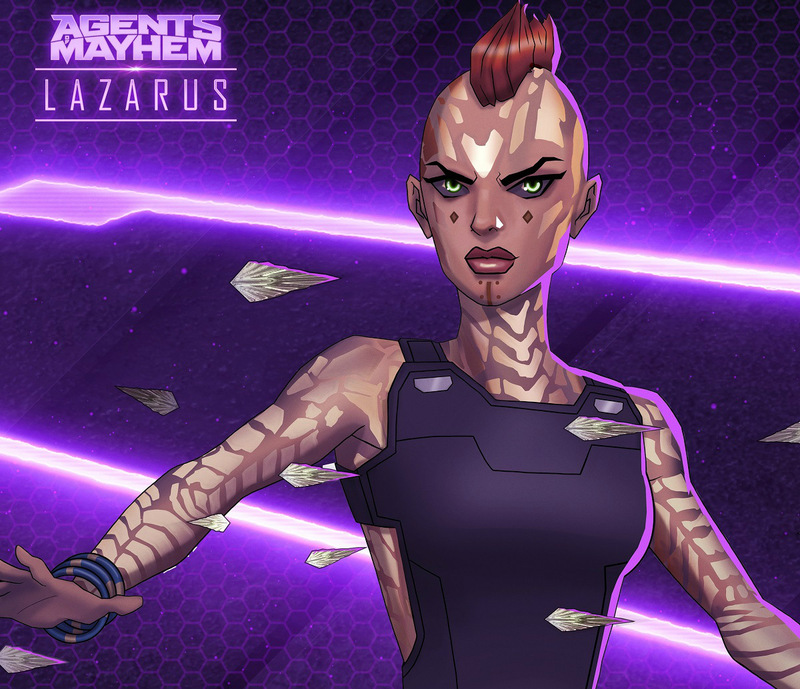 The second character reveal is Lazarus, an agent who is half-woman, half-machine. Like Gat, Lazarus is available to those who pre-order. Unlike Gat, she's available to all players who pre-order Agents of Mayhem. Agents of Mayhem is launching for PC, Xbox One, and PlayStation 4 on September 15, 2017. Tagged with Action,	Agents of Mayhem,	Deep Silver,	Deep Silver Volition,	News,	PC,	PlayStation 4,	Xbox One. Volition tries to carve out a new spot for itself, with mixed results.